Businessman and banker Alfredo Yao has become the majority owner of both SEAIR and now Asian Spirit (Manila). A group led by banker and beverage maker Alfredo Yao is investing P3-P4 billion in refleeting recently acquired airlines Asian Spirit Inc. and Southeast Asian Airlines Inc. (SEAIR), which the group has acquired and plans to merge, Yao said Wednesday. The group has spent about P1 billion to buy out 100 percent of Asian Spirit and "less than P1 billion" to take over SEAIR, Yao said in an interview. "There will be five new planes coming," he said, estimating the capital outlays for the refleeting at P3-P4 billion. Yao declined to say whether the capital outlay would be funded with borrowings or with internally generated cash. Yao, currently president of the Chamber of Thrift Banks, owns Philippine Business Bank and juice-maker Zesto-O Corp., which is also expanding through acquisition in the overseas markets. 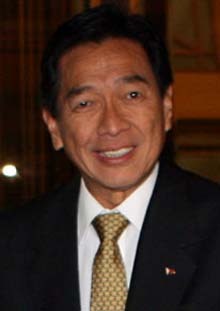 He is also part owner of commercial bank Export Industry Bank of the Philippines. He said he was bullish on the airline industry and opportunities in domestic tourism despite rising fuel costs. He said the merged airline would be re-branded, and the new trademark was still a secret. Asian Spirit flies to 12 local and three international destinations, including Incheon in South Korea, Sandakan in Malaysia, and Macau, with 10 aircraft. SEAIR has 11 planes flying to 16 domestic destinations. Both carriers were established in 1995.